Continuing our Q&A series with female leaders in life science, we interview Magda Papadaki, Head of Manufacturing Innovation, and Rebecca Lumsden, Head of Science Policy, at the Association of the British Pharmaceutical Industry (ABPI). Magda and Rebecca work in partnership with small, medium and large research-based biopharmaceutical companies to ensure the UK remains at the forefront of developing novel therapeutics for healthcare challenges. In the first part of this two-part interview, we discuss growth in the UK pharmaceutical sector and the importance of open innovation and industry collaboration. How does the ABPI support the UK pharmaceutical industry? Rebecca Lumsden (RL): The ABPI works to ensure the UK remains a great place for research and development into innovative medicines, and where these medicines can be launched and ultimately accessed by patients. We are a full service trade association that offer a variety of services to our members, and are engaged on a wide range of issues. For example, we work to ensure young people are equipped with the skills that industry requires – whether that’s through developing manufacturing apprenticeship schemes, or by engaging with research councils to ensure PhD programmes are providing the necessary specialist skills. On the other end of the spectrum, we’re involved in commercial based discussions with the Department of Health and the NHS around the pharmaceutical pricing regulation scheme, for instance. We also undertake and commission evidence-based studies to help us develop policy recommendations that will allow UK pharma to deliver safe and effective medicines to patients more quickly. Over the past few months we’ve been trying to better understand how the UK drug discovery landscape has changed over the last decade. Our findings indicate that the UK remains very strong in drug discovery, but the way in which we work has changed significantly. 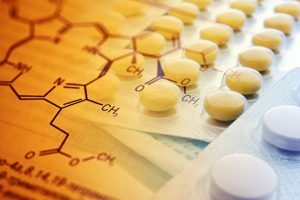 Pharmaceutical companies have a much more collaborative approach than they did ten years ago, and increasingly work in partnership with contract research organisations (CROs), academic units and catapult centres in early drug discovery. Additionally, the ABPI are doing a lot of work around how the Higher Education Research Bill will change the operating model for research councils, and how this may affect the ability of companies to partner with academic units. Magda Papadaki (MP): The ABPI also helps UK medicine manufacturers speak with a shared voice on national and global issues. One such platform is the Medicine Manufacturing Industry Partnership (MMIP), a joint venture between some of our biggest industry members, key government organisations and other stakeholders. The aim of the MMIP is to increase the proportion of global investment in medicine manufacturing spent in the UK by identifying measures to improve the UK’s competitiveness in this area. To do this, we are looking at how various factors attract investment in the UK’s manufacturing infrastructure, such as corporate tax and capital allowance. We are also looking at how regulation affects the industry, and at the UK’s ability to supply industry expertise. On this point, safeguarding skills in pharmaceutical manufacturing can be challenging as you need access to a broad range of talent, from chemists and biologists to engineers and data analysts. By partnering with other organisations, such as the BioIndustry Association and the Knowledge Transfer Network, we are able take on issues that are too large for a single organisation. hich is focused on developing challenging therapies such as regenerative medicine. Its goal is to set out a roadmap to grow the manufacturing capacity of the UK around these novel therapeutics, and anchor the subsequent supply chains and adoption routes into the UK. By expanding the UK’s capability across the entire value chain, we aim to make the UK the best place to develop, manufacture and deliver these treatments to patients. What are UK pharma’s strengths? RL: It’s often said that the UK punches above its weight in life sciences across the field, and we’re known to be strong in a number of research areas. The UK has an international reputation as a great place to undertake oncology research. We’re also strong in immunology, both in autoimmunity and applied immunology, and this partners very well with our expertise in oncology with the current push for immuno-oncology drugs. Rare disease research is another area where the UK’s expertise is very strong. We’re rapidly growing our capabilities in research into infections, tackling antimicrobial resistance, and also in dementia research, such as Alzheimer’s disease. The UK has also received very broad pharmaceutical funding through the EU’s Innovative Medicines Initiative, which has been used to fund a large amount of research into Ebola, for example. MP: Another area where we have recognised strengths is in regenerative medicine, and we are seeking to build up this capacity. Regenerative medicine covers a number of innovations that focus on the use of patients’ genes, cells or tissues to repair damaged tissue or organs in order to restore health. It may in future solve many of the current issues surrounding organ transplants, such as donor shortage and organ rejection, as well as transform medical practice in several areas of unmet need, like cancer and rare diseases. Historically the UK has been a pioneer in approaches that come from the use of stem cells, from in vitro fertilisation to Dolly the sheep. We have a wealth of scientific expertise in this area, both in terms of our knowledge of how disease mechanisms can be translated into cell therapeutics, but also in our capacity to develop the necessary tools, in vitro models, and characterisation platforms that underpin this type of research. In 2013, the UK government recognised regenerative medicine as one of its ‘eight great technologies’, and to date they have invested more than £200 million in collaborative research grants and infrastructure projects like the Cell and Gene Therapy Catapult (CGTC), which aims to provide national capacity for the UK to attract investment from companies that want to become active in this area. How can we further accelerate the strong growth in the UK pharmaceutical industry? RL: An interesting finding from our study into the changes in the UK drug discovery landscape is the significant increase in the number of specialist CROs that have emerged over the last five years. We have witnessed significant growth in the spin-out of talent and technology from the great science base we have here in the UK, and I believe there are real opportunities to further strengthen our life science cluster. This is something that the ABPI will be focusing on in 2017. One way this can be done is to develop the entrepreneurial skills of scientists coming out of the UK’s world-class education system. Business networks are also incredibly useful and help to drive innovation. It’s often not simply a matter of producing high quality science, but about building relationships with people who can translate these ideas into commercial success. When everyone is so close together these relationships are easy to build, and this is one reason why the life science cluster in Boston has been so successful. I think BioBeat is a fantastic way for these relationships to be created within the UK, which will help develop the growth of the sector. MP: It’s important to mention that different growth catalysts work well for different sizes of companies. Access to government level support through initiatives such as Innovate UK can be an extremely effective way to help small and medium sized enterprises manage risk in the development stages and bridge the so-called ‘valley of death’ (in investment terms, the period between drug discovery and clinical trial approval). In terms of larger pharma, I strongly agree with Rebecca’s point about the importance of facilitating open innovation and collaborative environments. We’ve seen a huge shift in how large pharmaceutical companies operate over the last decade or so, which is marked by greater externalisation – whether that’s through greater collaboration, by spinning out some of their operations, or by externalising some of their research divisions to CROs. By supporting the UK’s contract research and contract manufacturing ecosystem, we will further develop our entrepreneurial hub around biomedicine. RL: I would also add that the government’s commitment to the Biomedical Catalyst is really positive news, as we know this has been a good route to encourage small start-ups. ABPI are also looking at the role larger pharmaceutical companies play in supporting spin-outs through corporate venture capital, often they are not solely supported by angel investors and venture capitalists. That’s again why these collaborative environments are so important because they enable these relationships to be built. In the second part of our interview, we ask Magda and Rebecca about the challenges facing the UK pharmaceutical sector, and how the industry is addressing global healthcare issues.